The 53rd Annual MUFSO. The newly expanded MUFSO Super Show will combine all four of the Penton Restaurant Group’s events—MUFSO, Menu Trends & Directions, WISE and FM IDEAS—into one event, making this gathering for foodservice leaders an unmatched educational and networking experience. The MUFSO Super Show will offer an expanded educational conference with six “Conference Pillars” designed to benefit your whole management team. Restaurant Renovation - It's More than Just a Facelift! Who's After Your Food Dollars & What Should You Do About It? The New Generation of Customers: What Do They Want? 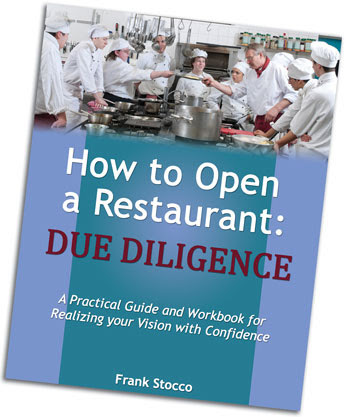 NOTE: If you want to open your restaurant right or are new to this venture, get your hands on restaurant consultant, Frank Stocco's book, How to Open a Restaurant: Due Diligence. 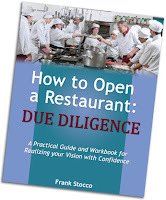 It gives you the knowledge, terminology, and process to open a successful restaurant within your budget. Check it out. Read reviews and excerpts from the book.